Ho! Ho! Ho! 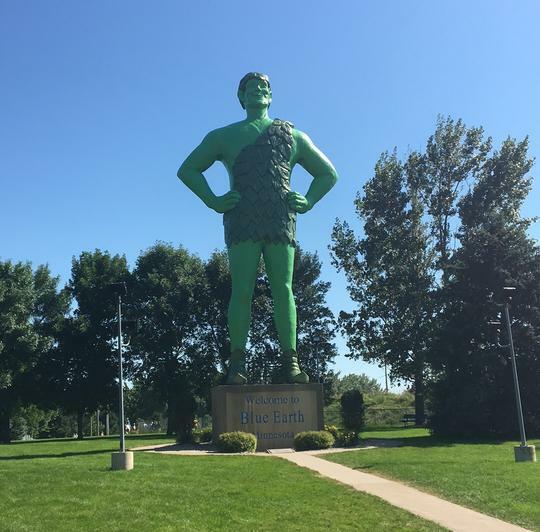 The Jolly Green Giant statue in Blue Earth, Minnesota towers over the county fairgrounds to welcome travellers as they pass through town! 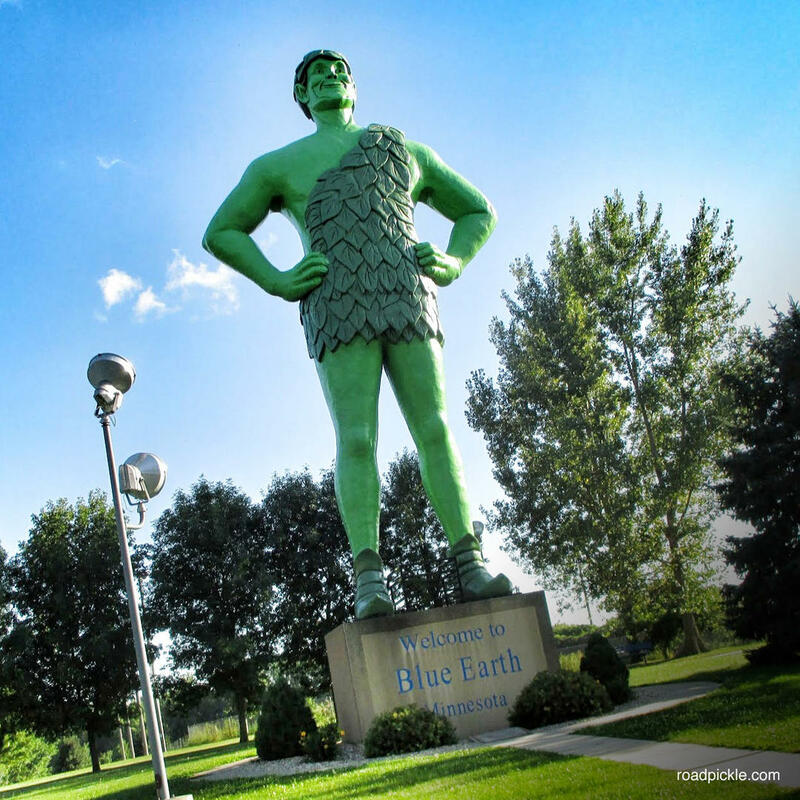 He's 55.5 feet tall and he wears size 78 shoes! Even his feet are six feet long! 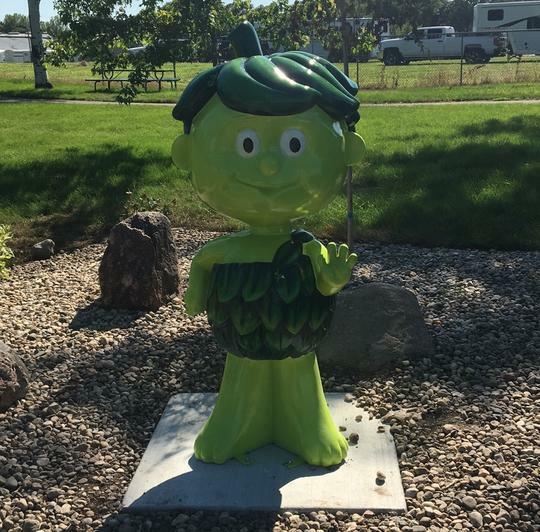 There was, at one time, a canning plant owned by Green Giant but another company now owns the plant. 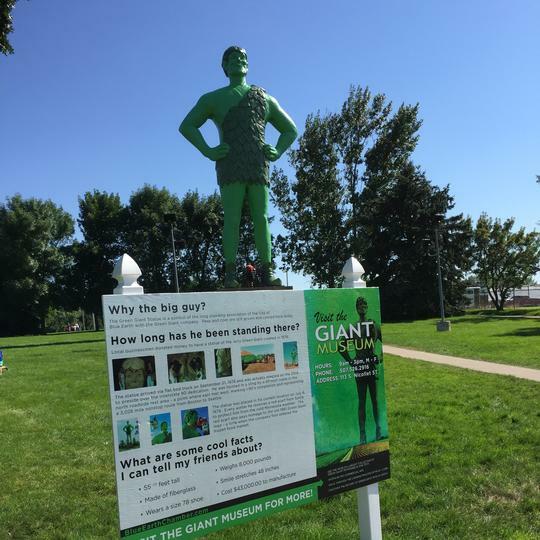 Green Giant's sidekick, a Niblet King statue, also remains and both of their presences have spawned a Giant Museum and an annual "Giant Days" festival (snacks are placed outside at night by kids and the next morning they'll find big green footprints in front of their homes the next morning)! Ho! Ho! Ho! Where'd he get that catch phrase?